Bermuda’s Brazilian Football School [BBFS] is getting set to host a two week preseason camp, with the camp to get underway on August 24. The camp is aimed at male and female players aged 7 through 14-years-old who are looking to prepare for the upcoming football season, with discount rates available until August 20. 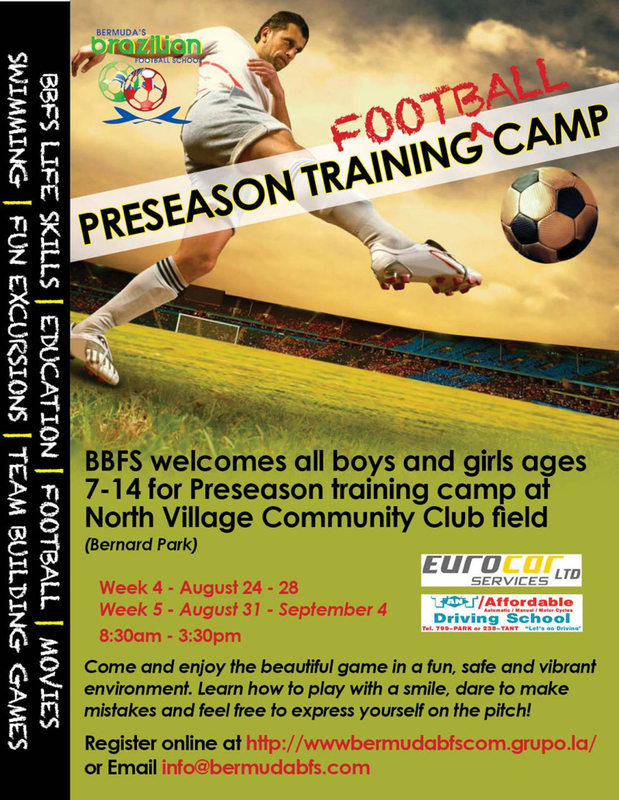 A spokesperson said, “BBFS welcomes all boys and girls ages 7 to 14 for a preseason training camp at North Village Community Club field [Bernard Park]. To register for the camp, visit the website or email info@bermudabfs.com.